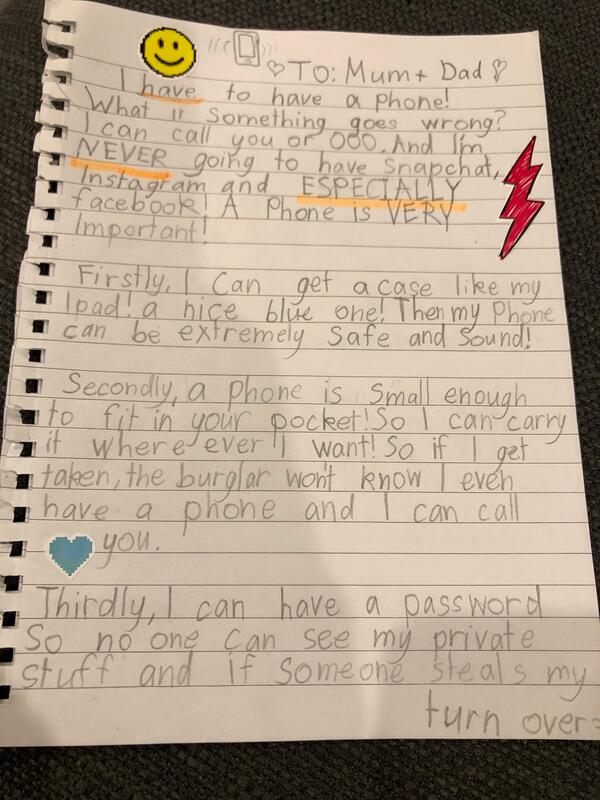 My 9-year-old wants a smartphone. Now what? 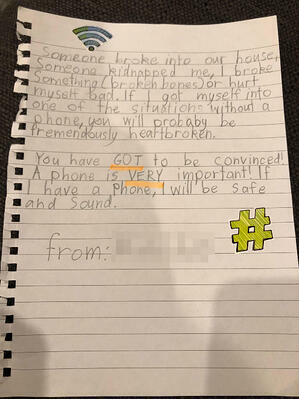 When my nine-year-old told me she was learning to write “persuasive text,” it never occurred to me she’d use her new skills to lobby for a smartphone. 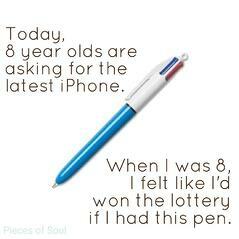 At her age, I was happy with a ballpoint pen that could write in four colours! Needless to say, times have changed. Now, my husband and I are hardly novices when it come to technology. He works in IT. And I’m a former police intelligence analyst for the cyber-crimes division, and am currently School Relationships Manager for Family Zone. Between us, we know a lot about cyber-safety. And with two kids under 10, we know a bit about parenting too. But we still struggled to reach a decision we were comfortable with. The thing is, a smartphone is about so much more than sending and receiving calls and messages. It’s really a portal to the world - both to the world’s store of news, information and entertainment AND to the 3 billion strangers who also happen to be connected at any one time. That’s exciting. And that’s scary. I mean, Ava's still in Year Three! And yet, from what I understand, the average Australian child now acquires access to a smartphone somewhere between ages 8 and 10. Many of Ava’s friends certainly do. I spoke to some of their mums and dads to get some deep background on that. “It’s more for me than it is for her,” is something I heard a number of times. Parents want to be able to contact their child during the day - for practical, everyday reasons like a change in pick-up schedule or after-school routine. Then there’s the question of walking to school. That one really hit home for me. We live only a few blocks away from Ava’s school, but I’ve been reluctant to allow her and brother Henry, aged 6, to make the journey on their own. True confession: I sometimes let them, but park my car where I can spy on them until they’re safely on school grounds. Other parents said things about “the technological world we live in now.” And I get it. Technology will be so central their future lives - at work and at home - in a way that today’s adults can barely comprehend. We need to equip them for that world. But like I said, Ava’s nine. She’s not ready for social media, heaven knows, or massive multi-player online games, or live-streaming, or video-sharing, or - a parent’s worst nightmare - real-time chats with strangers. That said, Ava’s had access to a tablet for a couple of years now. We’ve used Family Zone to manage her screen-time and filter content, to set bedtimes and playtimes. But kids don’t carry tablets around in their back pockets. Tablets have a time (after school and weekends) and a place (at home). Phones on the other hand can go anywhere, all the time. The more my husband and I talked about, the more I kept thinking, if only there was such a thing as a smartphone on P-Plates. Not a dumbed down “call and text only” device, but a real phone with cool features, great security and - most important of all - unbreakable parental controls. When I went into work and learned about a new product called the FZ ONE, I realised I wasn’t the only one. Heaps of parents have been asking for exactly the same thing. The Family Zone Mobile Phone is the phone we parents have been waiting for for our ‘tweens and younger teens. A sleek Android with all the latest features - facial recognition, great camera and screen resolution, plenty of storage, long battery life - the FZ ONE is a “real” smartphone by anybody’s definition. But it’s also a real safe smartphone. The only one in the world with Family Zone’s acclaimed parental controls built right in. So yes … just between you and me, Ava’s getting her wish this Christmas. Thanks partly to her pretty awesome persuasive text - but mostly thanks to Family Zone. But if you think we’re just handing her a phone, even the ultra-safe FZ ONE, with no prep and no strings attached, think again! In my position at Family Zone, I have the advantage of working alongside a high-powered group of cyber experts, and trust me I’m making the most of that brains trust as we take this step. Over the next several weeks, I’ll be sharing Ava’s journey with you as we lay the groundwork for a safe and successful experience. Stay tuned! 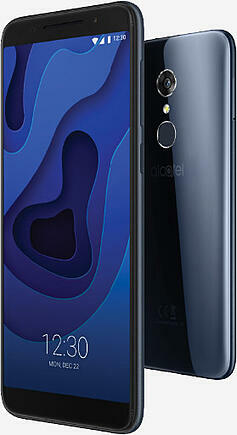 The child-friendly FZ ONE is the only phone in the world with Family Zone's acclaimed parental controls built right in. Learn more at familyzone.com/fz-one.